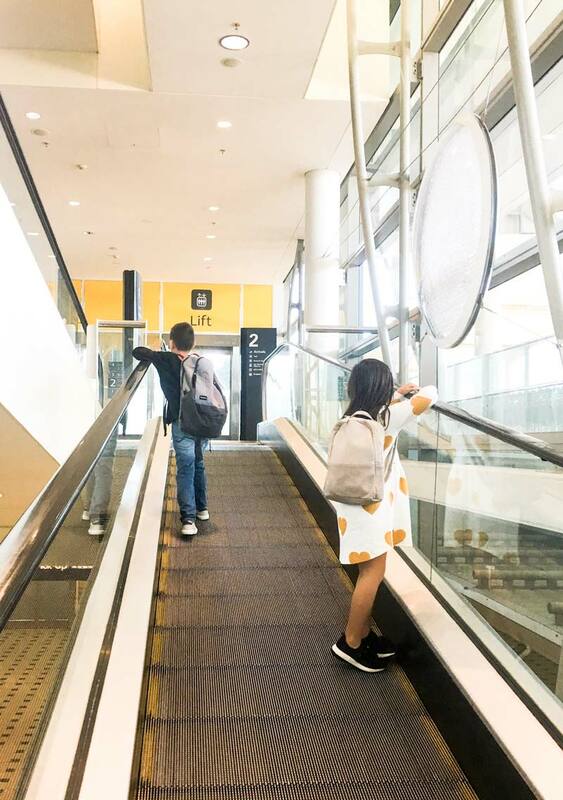 For a long time transiting through airports with our kids was an anxiety ridden yet necessary part of family travel. When it comes to flying with kids we’ve had some epic fails. We’ve over packed, forgotten credit cards, made frantic dashes to the gate and there was that one time our toddler was trapped in an airport toilet cubicle. 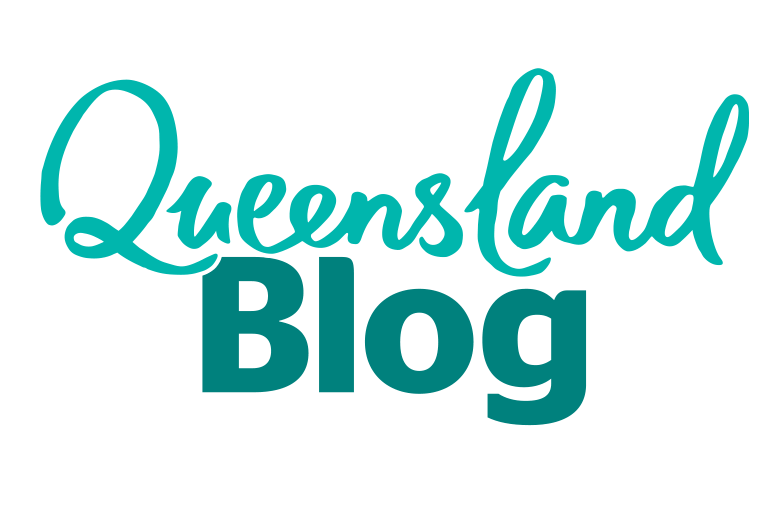 Cutting our teeth at Brisbane Airport’s International Terminal (BNE) – our homeport, we fumbled our way through. Each trip gradually better than the last until the magical day happened when the galaxy shifted, the stars aligned, and all the pre-flight angst was replaced with calm and confidence. Transiting through an airport suddenly became easy! 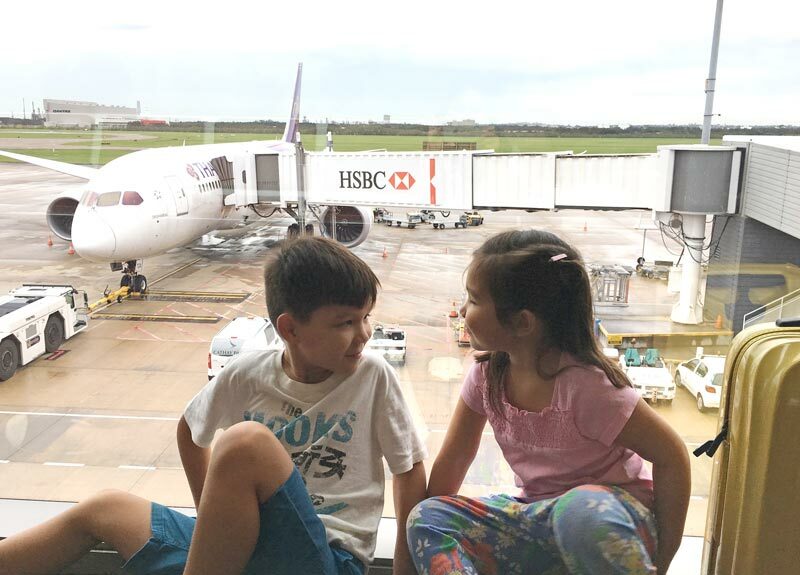 To get to that wonderful worry-free way of travel with kids, here’s our tips and tricks on how to #nail transit at BNE International Terminal with the family. There are two main schools of family travellers, the last-minute packers or the well organised. For those like me, who are often backing up SD cards the night before, packing the suitcase at the last minute or running to the shops with no time to spare. It doesn’t have to be that way – but let’s be honest we knew that already. The key is in the planning, stress levels drop when everything has been thought out. It’s been a game changer since I started packing the week leading up to the big day instead of the day before. While there’s a sense of achievement doing the mad scramble, a bit of preparation ensures a smooth run where we’re all well rested and ready for a long-haul flight. 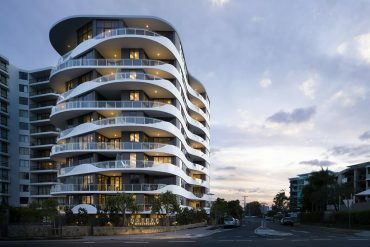 Something that can be done before departure is securing discounted Brisbane International long-term parking by booking online. A taxi or Uber XL can be pre-booked to save time waiting on departure day. 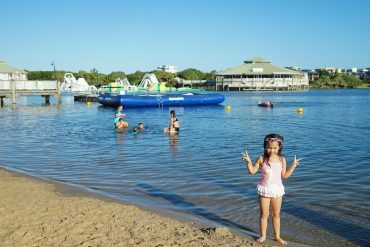 The cheapest Brisbane Airport Parking is the Park Ride Save option, a large outdoor car park located a short 10 minute free shuttle bus ride away from the Brisbane International Terminal or for a little extra, park the family car under a shaded awning. The most convenient but priciest Brisbane Airport car parking option is International Park Long, positioned adjacent to Brisbane International Terminal. The car park offers secure undercover long term airport parking with direct access to the International Terminal, book online and get discount airport parking. Lists come in handy to check off things to do before a family holiday. Don’t get caught out with the little things like redirecting mail, buying family travel insurance or notifying banks before heading overseas and jot it down on a list, we have a To-Do list set up on our phones to tick tasks off. We also reuse a packing list adjusted for summer or winter to make sure we haven’t forgotten anything for both carry-on and packing our checked luggage. Read more about tips for Flying with Kids here or the Ultimate Family Packing Guide. 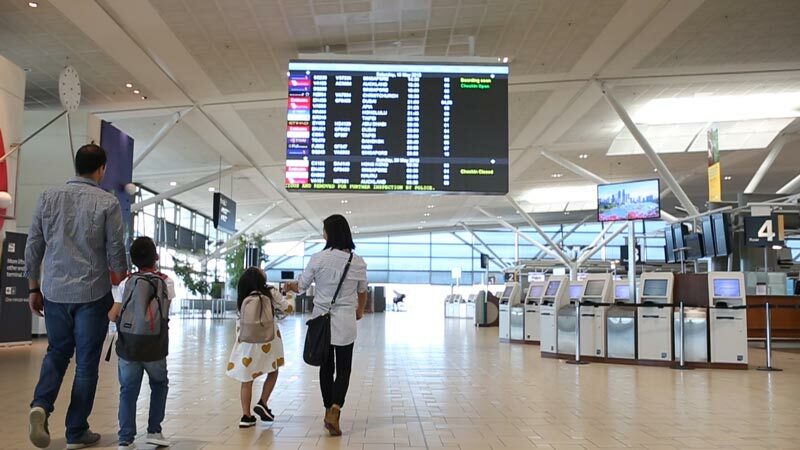 For families stopping over at BNE International Terminal, get all the housekeeping out of the way and check the boards to know where your connecting flight is located and work out how much time you have to make the connection. 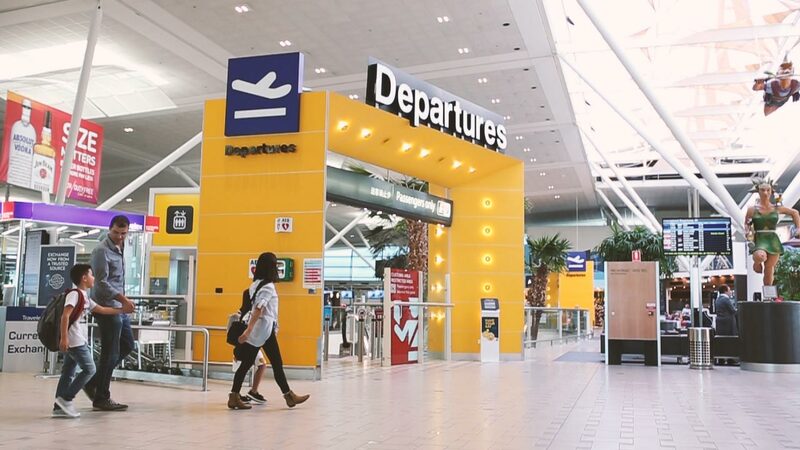 Brisbane Airport staff and ambassadors are available to assist with connections, the best bet is to ask airline staff at check-in whether you need to go through customs, whether your luggage is checked through to the destination or you have to pick up your baggage when you land and check-in again. Once you have all that important information on hand, you can spend the rest of the time enjoying everything that BNE has to offer. With little legs and plenty of gear, we advise getting to BNE 3 hours before an international departure. 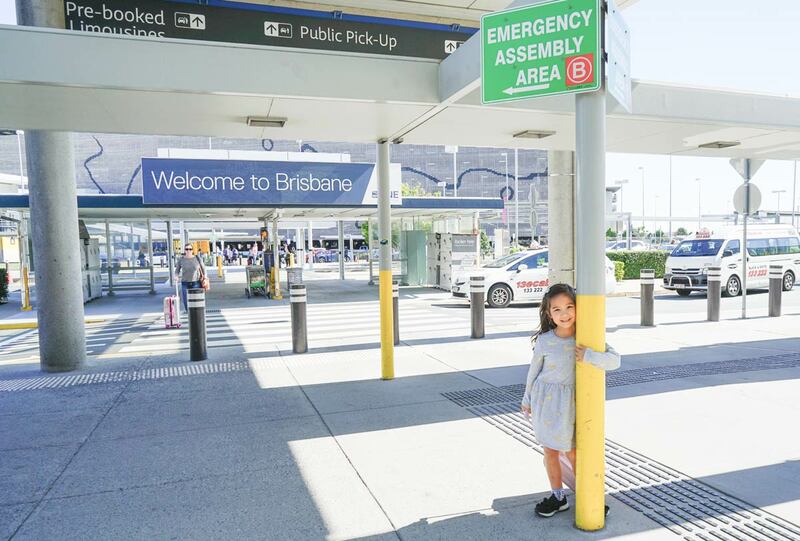 Allow a nice buffer to easily navigate Brisbane International Terminal with kids. Early birds factor in time to queue up for check in, pass through customs and allow for deviations into change rooms and distractions from all that is shiny and new. Swept up in the busy loop of school, homework and ferrying kidlets from A to B, I find myself going through the motions. It’s the same at the airport, we spare so little time beforehand, though once we’re at the destination we have all the patience and time in the world. 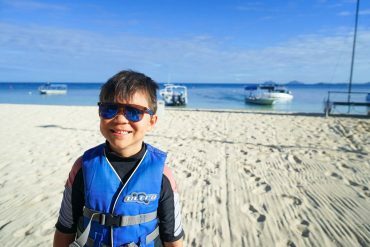 Switch to holiday mode at the airport and rather than hurrying kids along to make the flight and managing the tears that may ensue, be mindful that travelling is an eye opening new experience for them. While I’m not suggesting a stop at each and every place that catches the kid’s eyes, allow a little time to address curious minds. 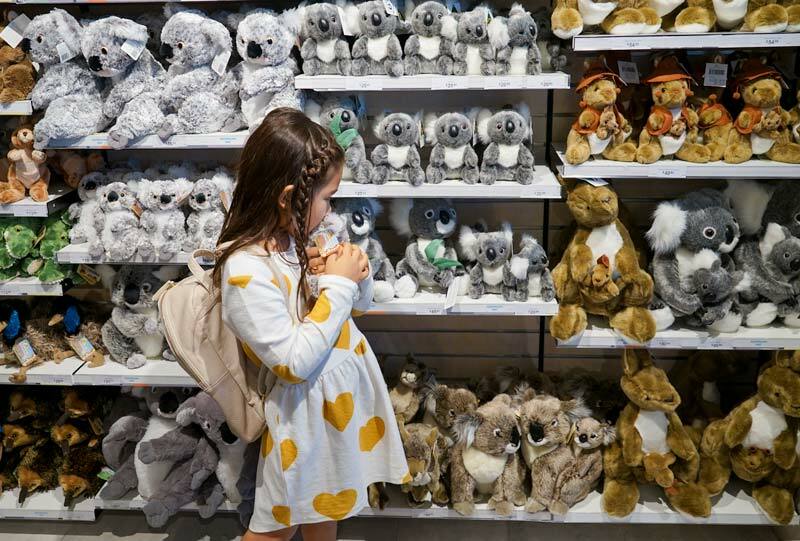 Go ahead and point out the planes that pass by, explain how the fascinating ePassport system works or stop to cuddle a fluffy Koala at Australian Way. Memories however small and insignificant are being made and I prefer my kids to remember the relaxed, engaged version of me rather than the frantic one. 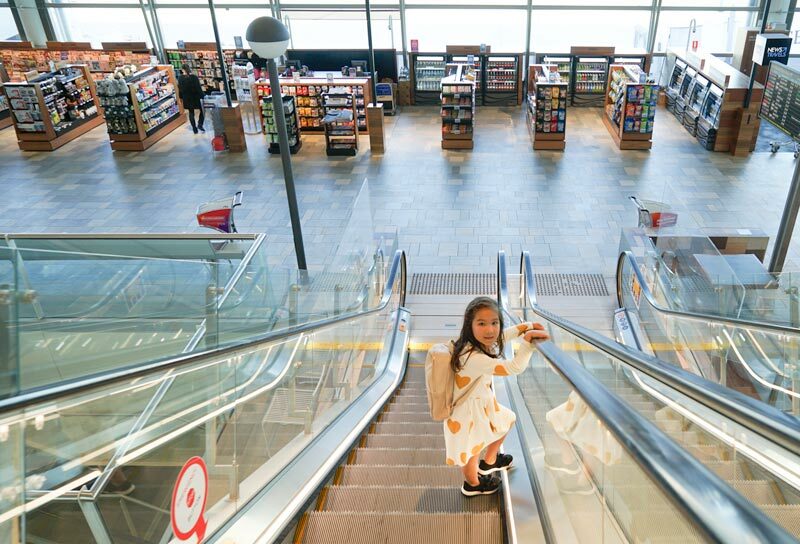 We find getting the kids involved right at the start helps for a smooth airport transit. Ours pack their own carry-on, though we veto items like tubs of slime or the entire collection of My Little Ponies. 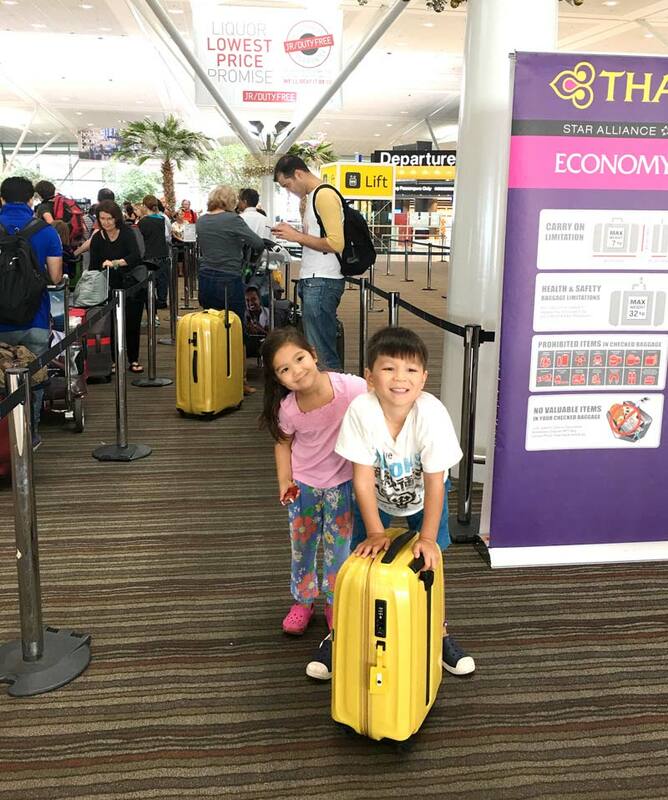 The aim is to give them focus and responsibility when transiting through BNE, by having our kids carry their own bags they become responsible for their belongings through security and along the journey. The beauty of airport shops is that essentials like shampoo, lotions and potions are all travel size, there’s no need to hunt around at the shopping centre. 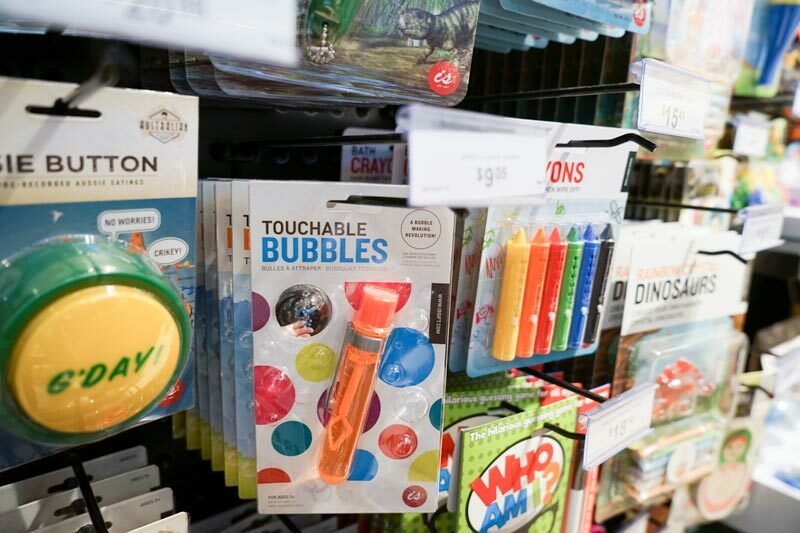 Hard to find items are readily available at BNE including Fess Nasal Spray for infants and Children’s EarPlanes – great for helping equalise young ears. 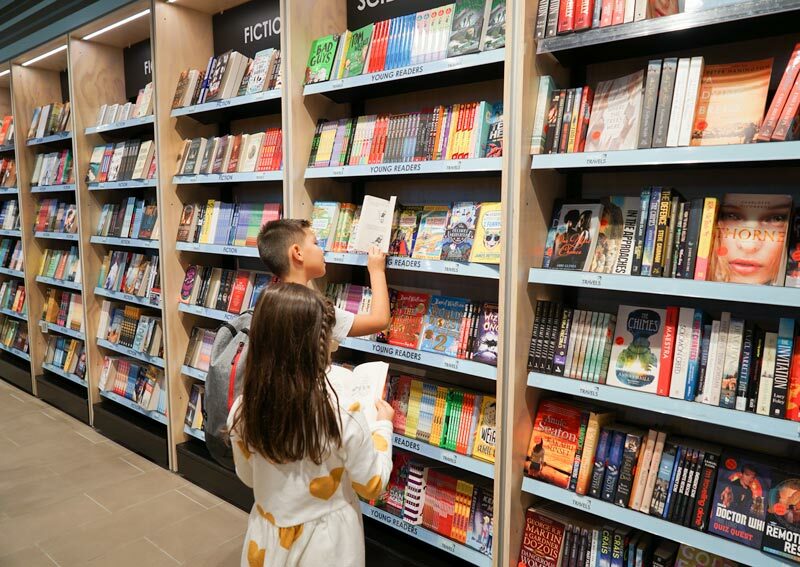 Any forgotten travel supplies including toiletries, adapters and medicines can be picked up at News Travels along with magazines, snacks, travel toys and a good selection of children’s books. If you forget the Vegemite, News Travels has assorted travel size and tube varieties. Great book selection for kids! Do buy the 3D engaging and silent puzzle activity, don’t buy the musical toy! We love a good find and we found News Travels stocked some unique, compact and fun travel toys for kids. 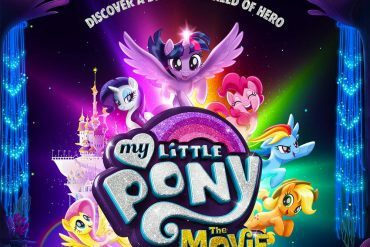 Do consider buying the mini unicorn or koala 3D puzzle and steer away from the mini manual music box – it’s a sure fire way to annoy parents and fellow passengers quickly! Also spotted at News Travels were nano blocks building packs, fun card games and model planes. 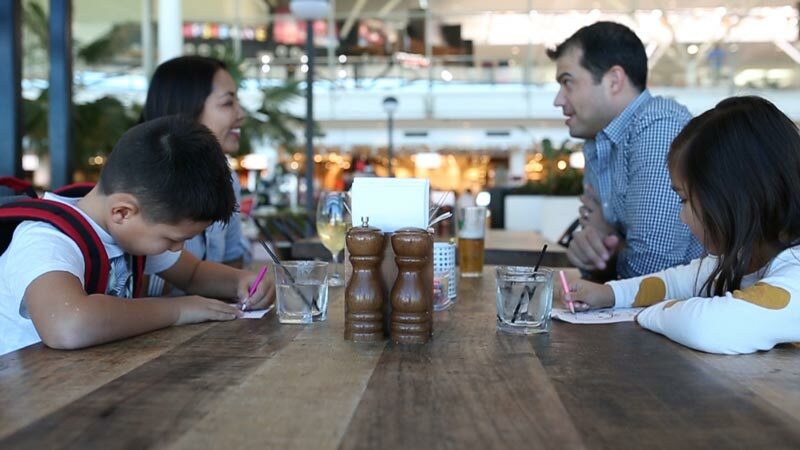 Make the most of family time and enjoy a meal together at BNE. Prevent rumbling tummies by grabbing a casual bite at the Food Court. 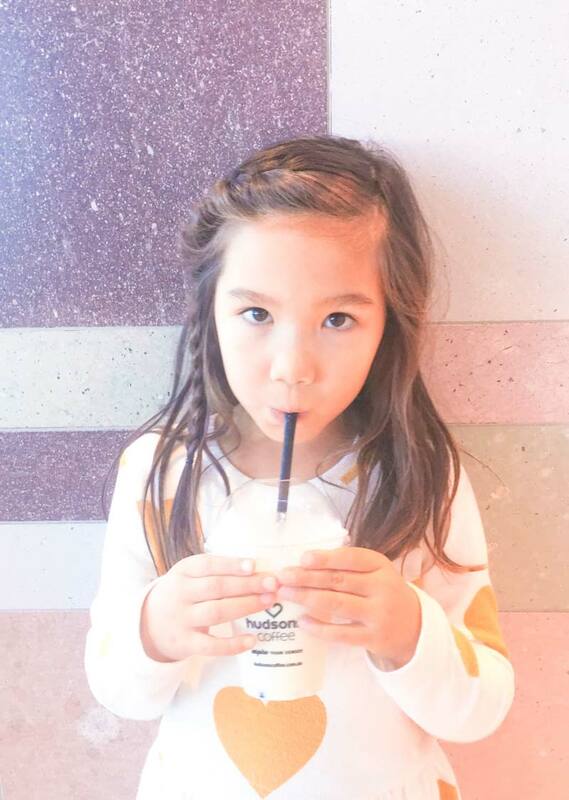 Healthy affordable food options include a Subway Kids Pack – a 6 foot sub that comes with a yoghurt and drink or try our fave green smoothie Pure Eden from Boost Juice. The protein balls and travel size packs of Cobbs popcorn are also great healthy snacks for the flight. Other family friendly choices without breaking the bank include grilled chicken burgers at Burger Urge, steamed dumplings at Tuk Chop and takeaway sandwiches from The Coffee Club. Start the holiday right and have a family meal at Windmill & Co. 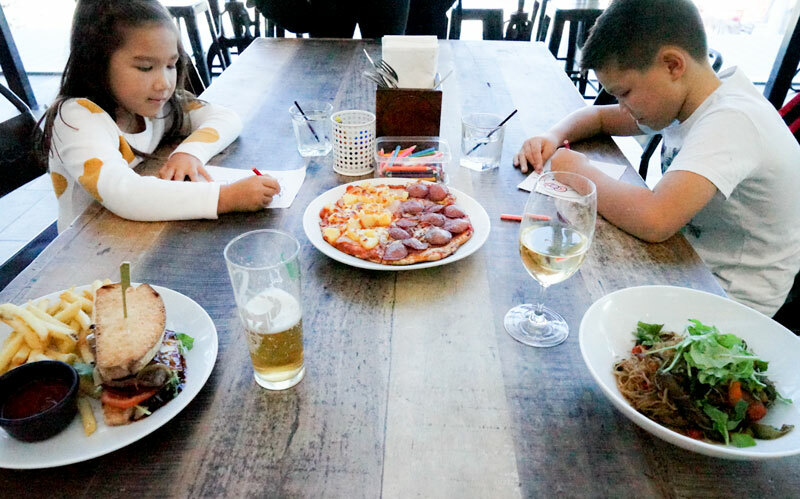 Enjoy a wine or craft brew on tap while the kids colour in. There’s also the Windmill Works – a Bloody Mary topped with a helping of pickles, celery and bacon – to indulge in. For lunch, there are wood-fired pizzas, sweet potato fries and a trio of sliders with front row views of planes taking off. The generously portioned steak sandwich is perfection smothered with bbq bourbon sauce and topped with caramelised onion. Pay no more than you would dining at a Brissy bistro but benefit from being right by the tarmac. Pizzas prices from $16.90, bacon and eggs cost $14.90 and mains start at $14.90. 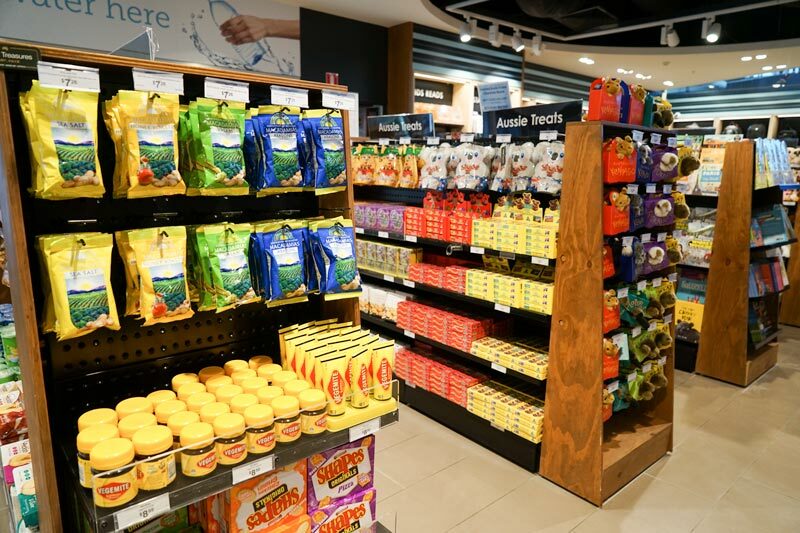 Take a wander through JR/Duty Free shop at Brisbane International Airport. 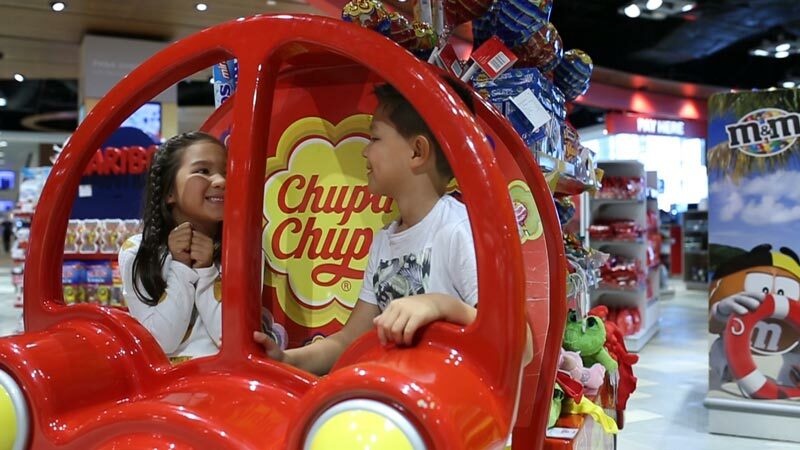 There’s giant Chupa Chups, M&M gadgets filled with chocolate and giant bags of gummy bears to entice the kiddies. 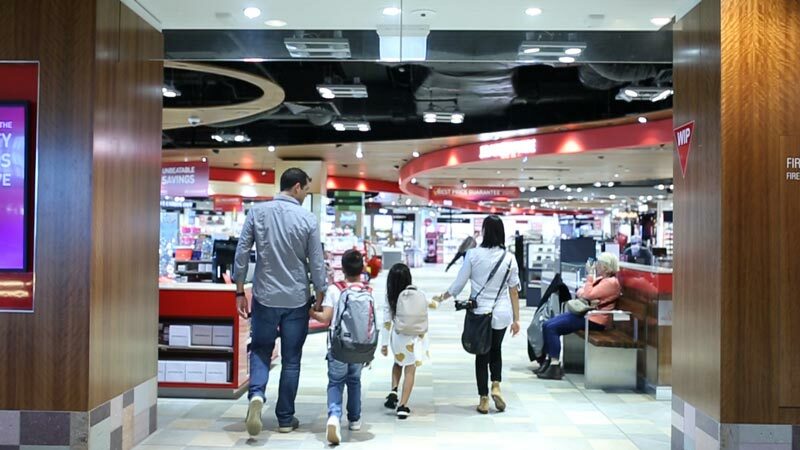 Our favourite BNE duty free shopping include the decent selection of sunnies, cosmetics and perfumes including travel size fragrances at competitive prices. Perhaps the best value for money is the duty-free liquor, particularly good when flying into countries with a high tax on alcohol including Indonesia, Japan and Singapore. Save time if you know what, save time and pre-order your duty free shopping up to 60 days before departure with Buy Fly Collect. Simply pick up your duty free goodies at Arrivals on your return home. 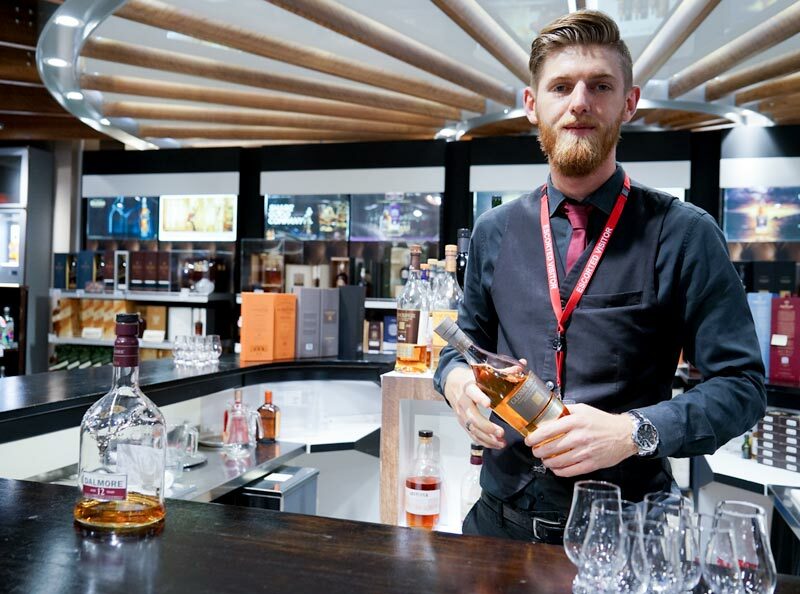 Pop in for a sample of some top-shelf whisky at the Whisky Bar poured by a dapper Whisky connoisseur, who happens to be one of the top Whisky Instagrammers in Brissy – yes that’s a thing and he’s well versed in the duty free spirit, follow @whisky_downunder. 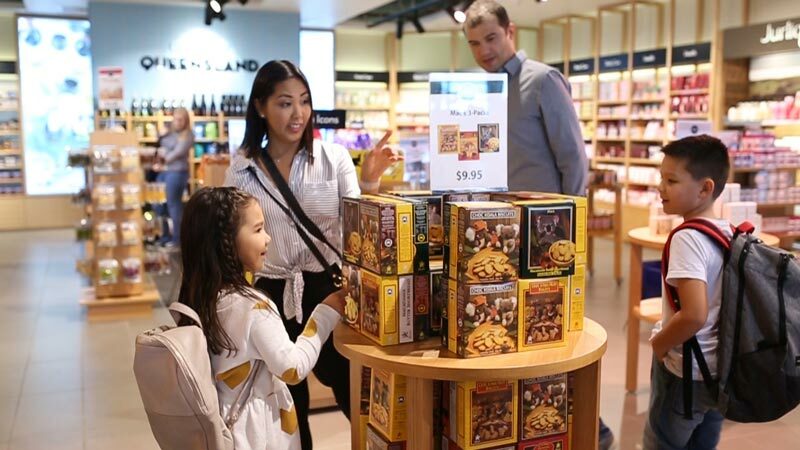 For overseas friends, find unique Aussie souvenirs and gifts at Australian Way. Choc-coated macadamia nut, jars of the finest local honey and variety packs of Tim Tams are always winners. 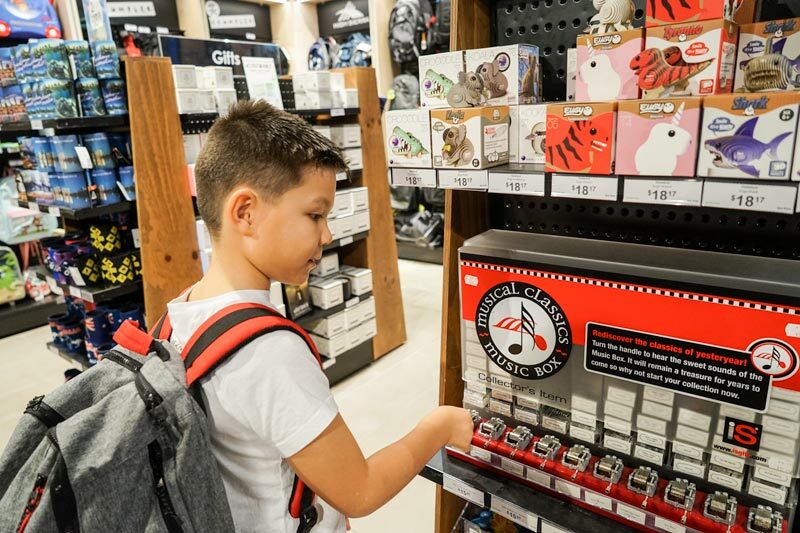 Another great Brisbane International Terminal shop for the family includes Aussie surf icon Billabong. 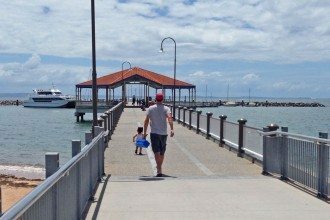 Pick up hats, bathers and boardies for the family summer holiday. Along with beachwear, Billabong also stock some great backpacks and water bottles for travel. 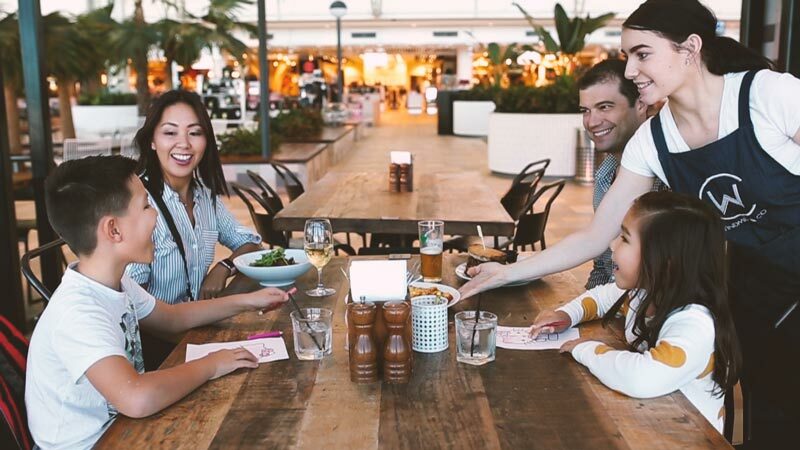 Families can enjoy Brisbane airport lounge access without having to be a member of an exclusive airline club or fly a particular carrier in business class. 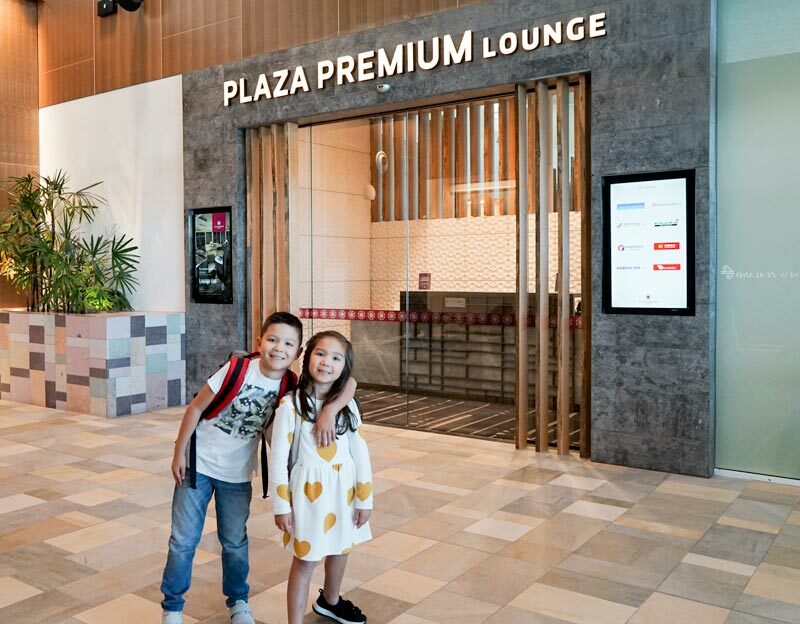 Plaza Premium Lounge welcomes the family to complimentary buffet-style food, barista coffee and free alcoholic beverages which start from 7am daily – all for a single entry fee. Just for kids there are muffins and cookies, but the main attraction is the big jar of lollies in the contemporary dining area. There’s speedy complimentary WIFI, meeting rooms, shared computers and pod workstations. 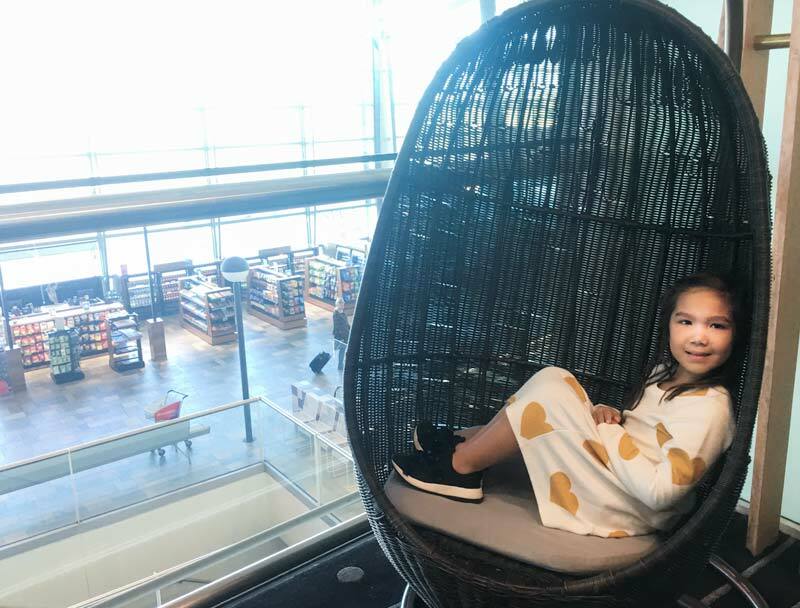 Comfortable lounge chairs with plugs to charge devices make up the rest of the lounge or choose to relax in the select basket swings overlooking the airport foyer. Showers are available with towels provided and there’s a Wellness Spa around the back offering quick pre-flight pamper packs at an additional fee. Opened from 5:30am to Midnight pm daily, price per adult from $41 US (approx $54 AUD) for 2 hours of lounge access or $48 US (aprox $63 AUD) for 5 hours. 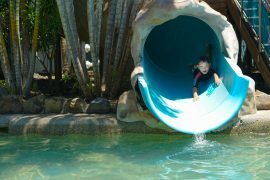 Children from 2 – 11 pay cost $29 US (aprox $38 AUD) US for 2 hours or $34 US (aprox $45 AUD) for 5 hours. Prices may vary please click on Make a Booking at Plaza Premium Lounge for the latest rates. 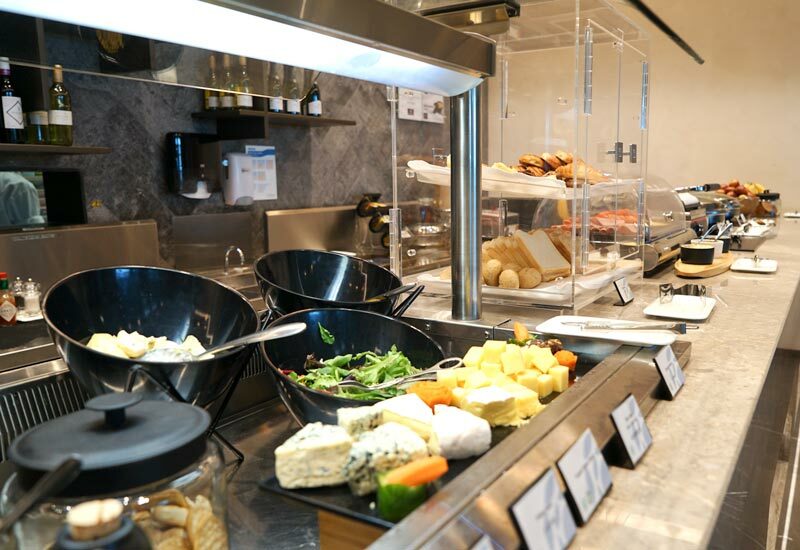 Other Brisbane International Terminal lounges include Qantas Club Lounge, Singapore Airlines Lounge, Emirates Lounge and Air New Zealand Lounge all located on the Mezzanine Level 4 of Brisbane Airport’s International Terminal. 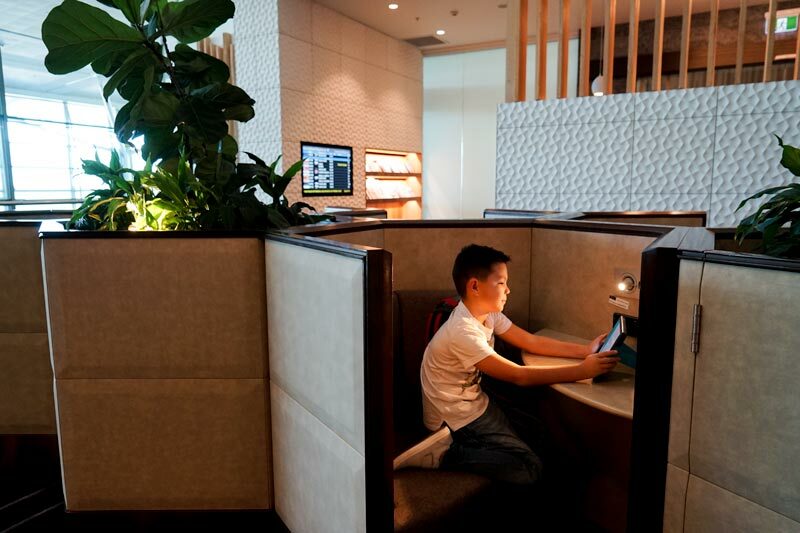 There is a cheaper way to access Plaza Premium Lounge, register for free with myRegus – an online office booking site which offers access to a large selection of airport lounges around the world including BNE. 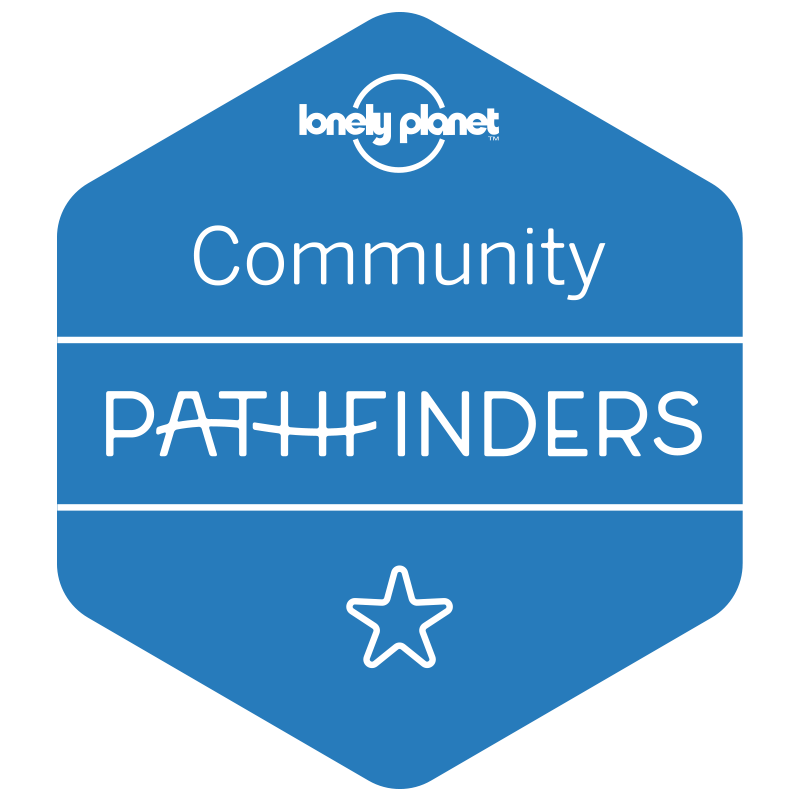 Once signed up, simply go to Tools > Airport Lounges and register for a free DragonPass, signing up gives access to Premium Plaza Lounge at a flat fee of $34 AUD. For the kids’ entry, pay the children fare with reception at walk-in. Prices may vary please register with myRegus for the latest rates. 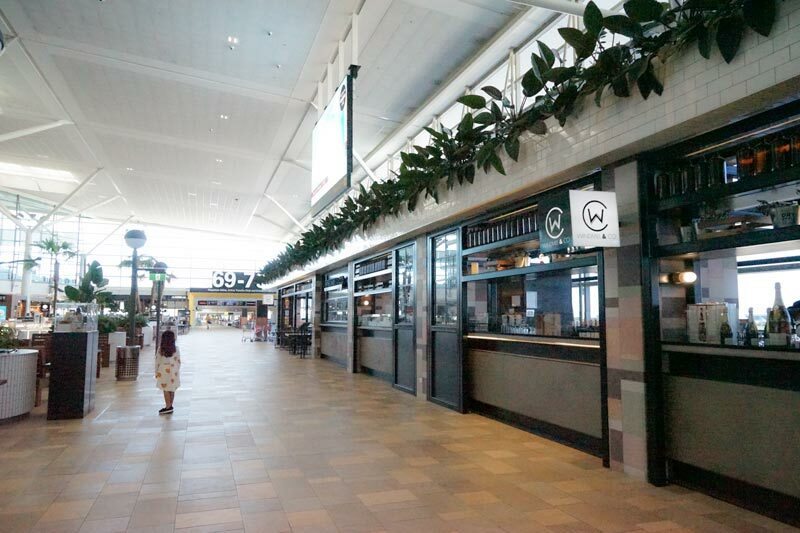 The food court at BNE International Terminal has free charging stations to power up devices for the long flight ahead. We’ve had no problems having multiple devices connected to the complimentary WIFI to play shared games, apps and stream cartoons. Don’t forget to pack the charging cord in your carry on to charge up each devices, it comes in handy during the flight as some international airlines now offer a USB charging port at the seat. 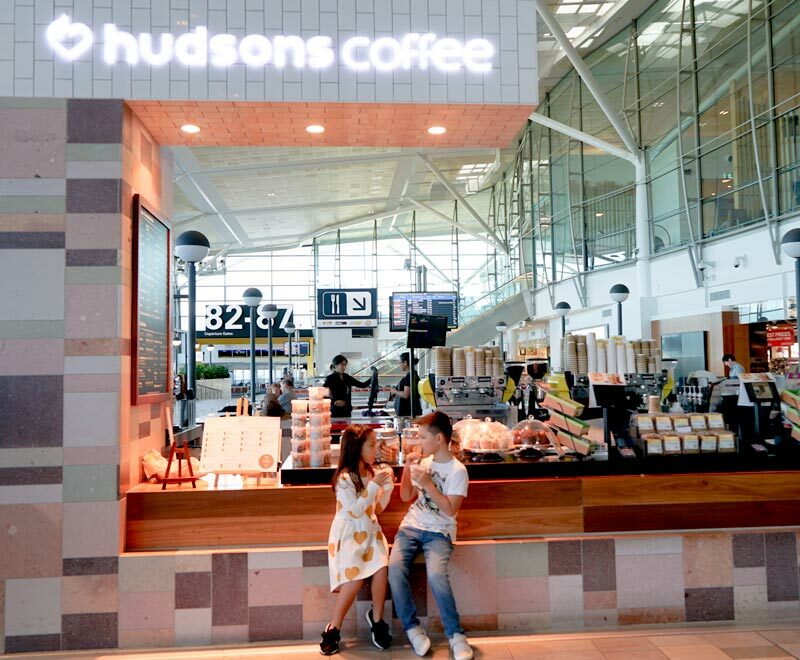 For a good pre-flight coffee, head to Hudsons Coffee which offers barista brewed premium coffees. They also offer some indulgent mochas, and you’ll want to try the Caramel Chocolate Crunch as well as the iced teas, chai’s and lattes. Despite long queues in the morning, staff are super-efficient and orders are filled quickly. Our kids had a hard time choosing from hot chocolates with marshmallows, fruit smoothies and classic milkshakes as well as giant cookies loaded with smarties! On the healthy side there are gourmet sandwiches, wraps and croissants to go. 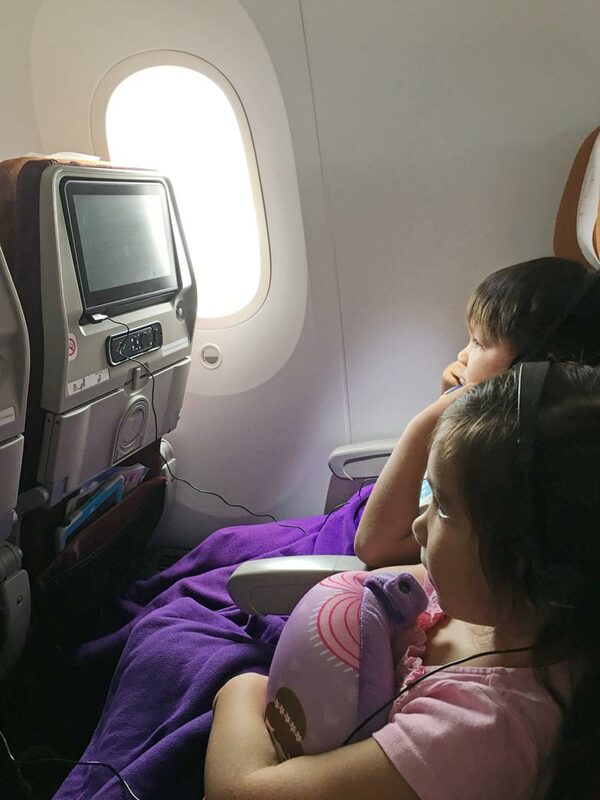 There’s a lot of sitting and staying put on an international flight – something counter intuitive for kids who naturally want to move. We’ve always let the kids run it out before boarding, especially when they were toddlers as they have loads of pre-flight energy to exert. 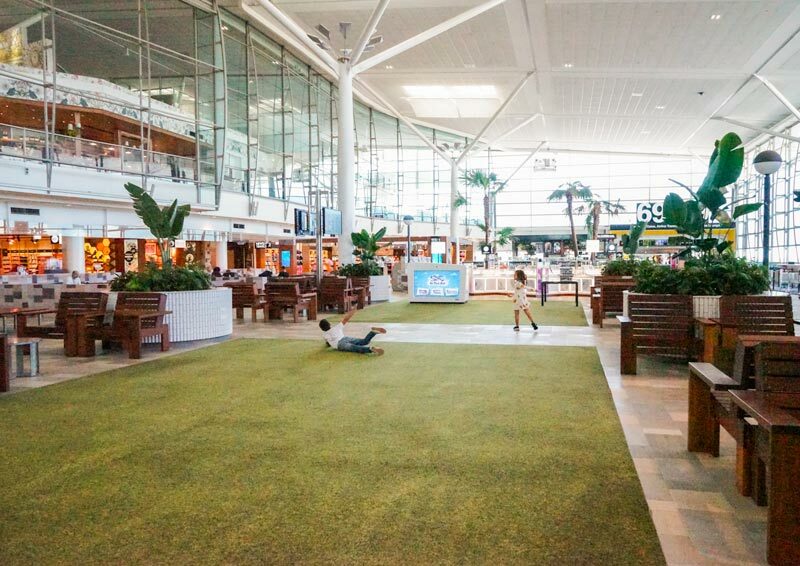 Run, tumble, roll at the Village Green, Brissy Airport’s large open lawn area. 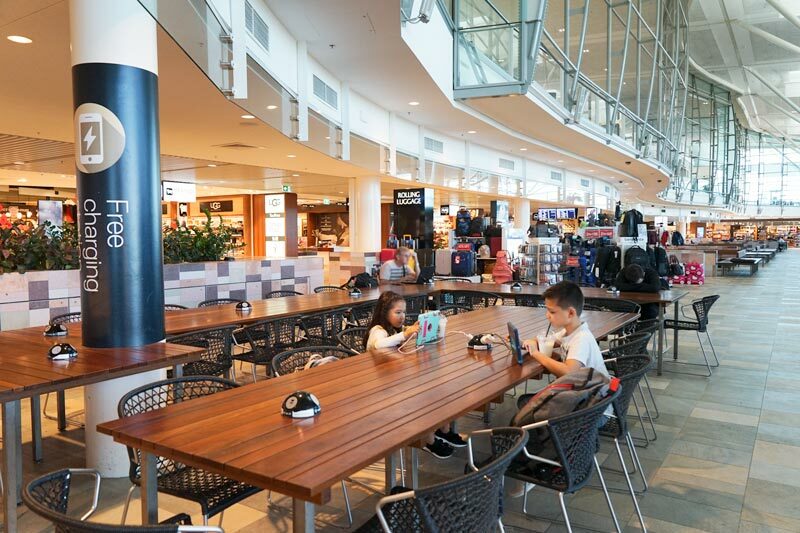 Brisbane International Terminal has a perfect spot to run the kids out. The Village Green is a lovely large open lawn area great for cartwheels, tumble turns, games of tag and what’s the time Mr Wolf. 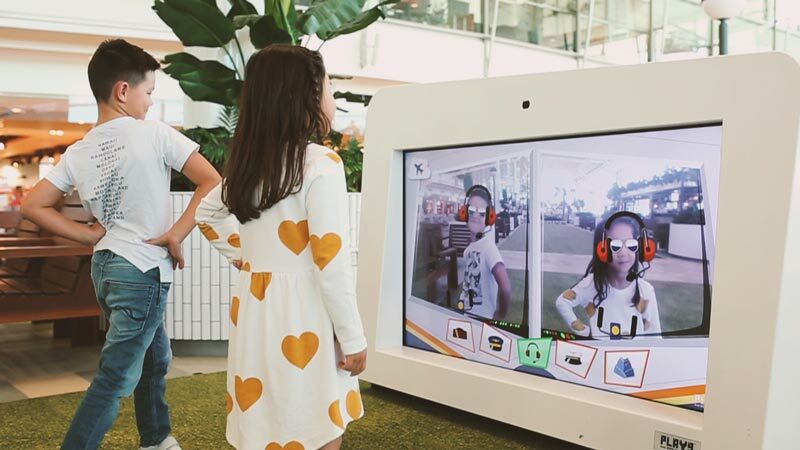 The Kids Play Zone on The Village Green offers two big screens loaded with interactive airport themed games. 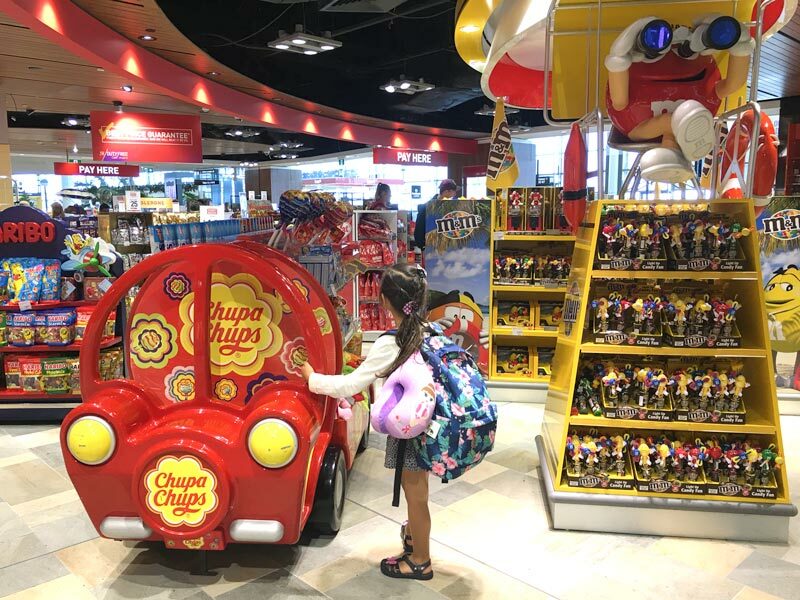 Kids can sort airline meal trays, transform into aviator wearing pilots and have a shot at a particularly funny wack-a-mole style game, only the moles have been replaced with cheeky pop up passengers. We always travel with lightweight leak-free reusable water bottles. While straw bottles are great, they tend to leak at altitude. We find the best ones are the screw top bottles with a single resealable opening. To transit BNE like a pro, the trick is to pack an empty water bottle and fill up after security, there’s opportunity to dispose liquids beforehand in case you forget. 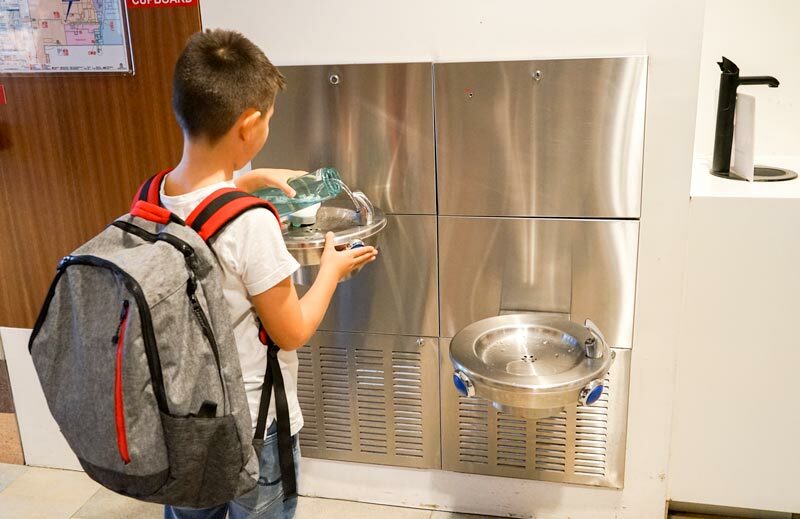 Free water stations are located by Gate 80, Gate 82 and by the Qantas Club Lounge at BNE International Terminal Level 3. We’ve been caught out before, when just at take off, the kids are suddenly busting to go to the toilet. The time waiting for the seat belt sign to flick off can be excruciatingly painful, more so when stuck behind the trolleys that start to wheel down the aisle for the meal service. Make sure bubs has a fresh clean nappy and the kids have had that all important bathroom stop before boarding – despite any protests that they don’t need to go. Parents rooms where the entire family can fit inside including all the travel gear are located down the hall from the Qantas Club Lounge and at the Food Court behind Subway, Tuk Chop and Boost Juice. The parents room has a nappy changing station, paper towels, nursing chair, microwave to warm milk and a deep sink. Right next door to the Parents Room at both locations are free showers, handy in case of any accidents, though you need to BYO toiletries and towels. Tummies full, been to the bathrom, at the gate on time – check! 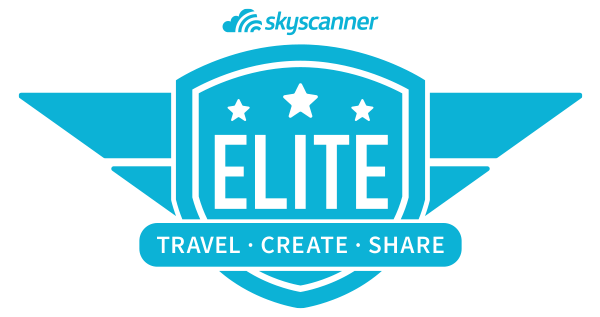 That moment when we’ve navigated security hiccup free, our tummies are full, we’ve all been to the bathroom, our devices are juiced up and we have everything at hand to rock the flight ahead, is worthy of a fist pumping celebration or a secret happy dance at the very least. 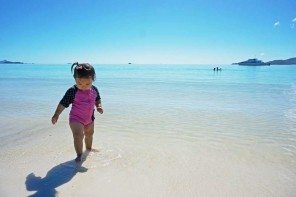 Armed with these tips on how to #Nail BNE with a family, we hope you get to do a little happy dance of your own. matter here is really wonderful, thanks for your efforts.